The chatter on the bus came to a screeching halt as we were enveloped by astonishing views in Catalonia, Spain… we had entered a very special designated-wine Catalan wine area… some of you may be thinking that I am talking about Priorat… yes, I visited Priorat during this same trip, and of course, it lived up to its hype as a fine wine region, and I will openly admit that during the whole trip I was thinking when are we going to get to Priorat…. but no, right now, I am talking about entering Terra Alta territory. If you have never heard of it, well, you are not alone, and those who have previously delved into some serious Spanish wine books may had been misled that this area lacks quality wine – far from it, as Ramon Roqueta Segalés, manager and family owner of Lafou Celler, showed us the heart-stopping landscape of his beloved Terra Alta and tasted us on his gracefully expressive wines, it became profoundly confusing to me as to why they were not known as a super star wine region. 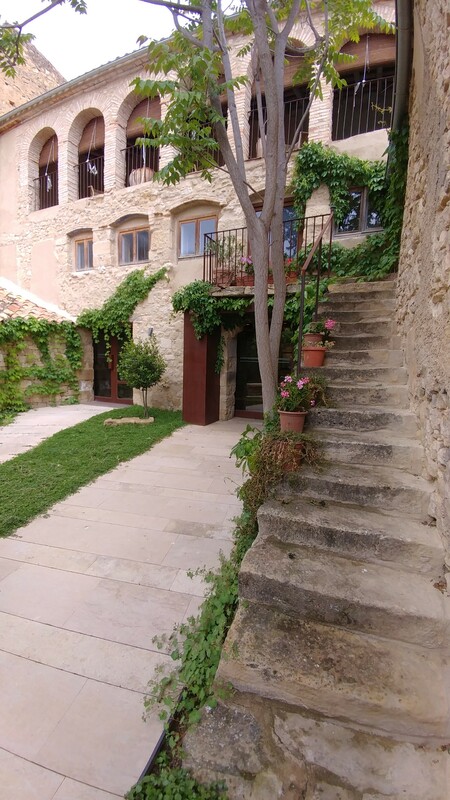 We first arrived at a little village called Batea, in Terra Alta. It has only a few buildings, with a couple of streets – actually our lunch came from the only restaurant in town, which looked like a truck stop, yet their food tasted like we were in paradise. The Lafou Celler winery and tasting room, a formerly abandoned 16th-century house, was a grand structure that made me feel as if I had somehow been transported back in time… the only thing that grounded me in reality was that the Roqueta family has renovated it with all the goodies of a first-rate producer, with the latest temperature controlled stainless steel tanks, cement “eggs”, and top quality control procedures from transportation of the grapes to the final libation of the liquid expression of their glorious place. One of the issues in this area has been the lack of modernization of cellars due to little or no investment, and so the wines have had a reputation for being rustic. 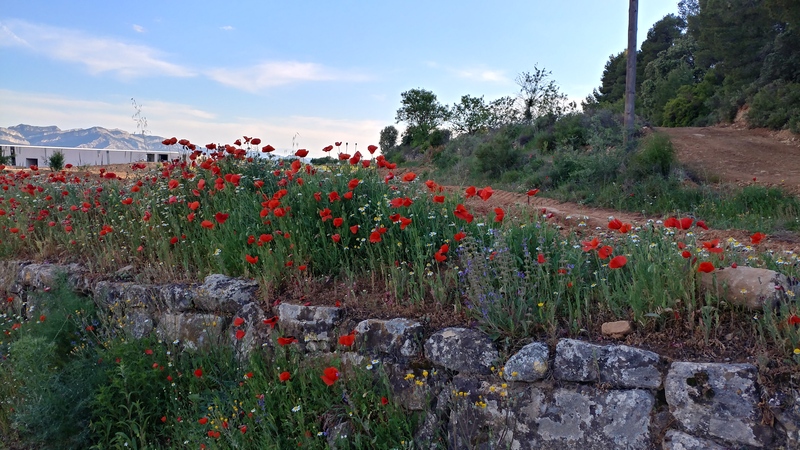 As Ramon was driving us around, it was obvious that Terra Alta had many special aspects to it. We saw the “panal” soil – chalk and sand topsoil over entrenched, clay-limestone with limestone bedrock. The low-nutrient panal soil has an enormous capacity for storing water, which comes in handy during the warm, dry summers. 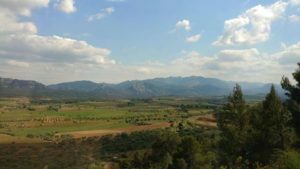 Terra Alta has the highest altitude in the Catalonia region, with mountains reaching 3117 feet (950 meters) which makes sense once I realized that Terra Alta means “high land” in Catalan. This region is so picturesque that famous artist Pablo Picasso spent many summers here – I had no idea! 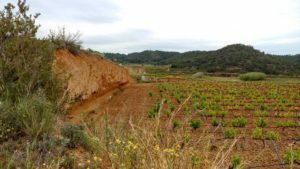 The other Terra Alta wine producer we visited, Herència Altés, further illustrated the point of the insane beauty of the area. It made my heart ache seeing this property as these types of views should have been experienced with my husband and not on a work wine trip. We walked around this magnificent land drinking a fun “Experimental” White Garnatxa (aka Garnacha/Grenache) skin contact, oxidative wine. 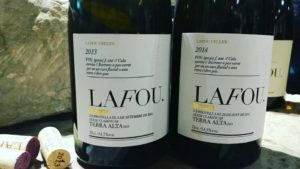 This wine may seem like a style for a younger generation of cool, urban wine drinkers but Terra Alta was once known for its white wines, especially the oxidative whites called amber blanc. 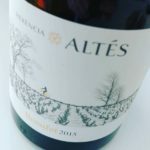 As we walked along the Herència Altés vineyards with owner Rafael De Haan, sipping this multi-textural, complex white, it was remarkable to see so much untouched beauty… Why were there not more people visiting? 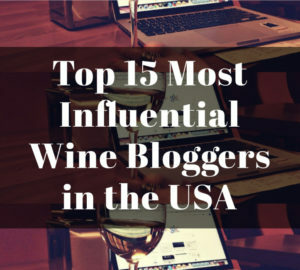 Why were there not more people drinking these wines? Unfortunately, in the late 1800s, the pest phylloxera, devastated this area and ever since then it has been overshadowed by its neighbor, Priorat. Rafael’s wife, Núria Altés, came from a poor local Terra Alta family who were wine grape growers. Núria’s grandparents, if alive today, would be awestricken to see the massive project that she and her husband have undertaken, since their life was one where they often didn’t know if they would have enough to eat… and now, their granddaughter has a massive, state-of-the-art winery with the capacity to create its own electricity (since they are off the grid), brought in one of the top wine consultants, Claude Gros, to make wines that can go toe to toe with any other premium wine region in the world, and is gearing to become certified organic in 2018 – doable since Terra Alta has the assistance of intense winds which create a low-disease pressure environment, as well as helping them generate their own electricity with windmills. 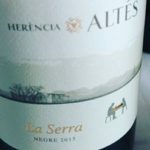 As a semi-outsider, Rafael De Haan, born in England to a British father and Spanish mother, sees the potential of the wines and land of Terra Alta as many of the younger locals have decided that the only decent option for a better life would be to move to an area with more opportunities. But Rafael sees the opportunities in Terra Alta… he envisioned it as a glamping (glamorous camping) wonderland, spas and trails for tourists, and of course, the potential for great wines. He talked about how Terra Alta was a special place where, in the local town of Batea, the older people would still siesta in the middle of the day and dance until the wee hours of the night… it was typical for his children to not come home until 1AM from a summer night of dancing with their elders. When I think of that car ride with Ramon when we visited his Lafou Celler winery, I was surprised to learn that he had lived a decent amount of his life in a bigger city, traveled the world, already had success with other businesses, and then he decided to come back a few years ago to the land of his ancestry – 32 generations of winemakers in his blood – most of them struggling at this profession. Why would he come back? He pointed to the unique Garnacha Peluda, aka “hairy” Garnacha, a special clone of Grenache local to Terra Alta, with its higher acidity and extraction, that was being grown in tiny bush vines that would give minuscule yields; he said that he believes that there is a small window of opportunity to save these rare quality vines… the world is starting to crave more honest wines that express special qualities of various places… hence another reason why he is experimenting with a 100% Morenillo wine – only around 15 acres (6 hectares) of this local variety currently exist in Terra Alta. 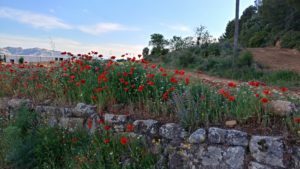 Then he pointed to the olive trees and said that there is a risk that Terra Alta will one day only make olive oil if they do not seize the opportunity to save what is left of their superior vineyards. “It is now or never”, Ramon said with fierce determination. And I realized in that moment that Ramon was faced with a realization that so many of us face when we hit a certain age… for so long we feel we have to change ourselves to be accepted by the larger world… but then one day we realize that we have denied what was extraordinary about ourselves for fear of rejection. A life lived in fear is not much of a life… but someone who has the courage of conviction of his/her passion will be guaranteed an inner fire that will burn brighter than any success that can be witnessed by the superficial eye. 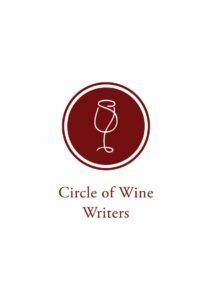 Side note: White Garnacha will be specified for the white wines since it is not as common to taste a wine from this variety but Garnacha Tinta, dark skinned version for red wines, will be referred to as simply Garnacha due to its more prevalent availability in the market. 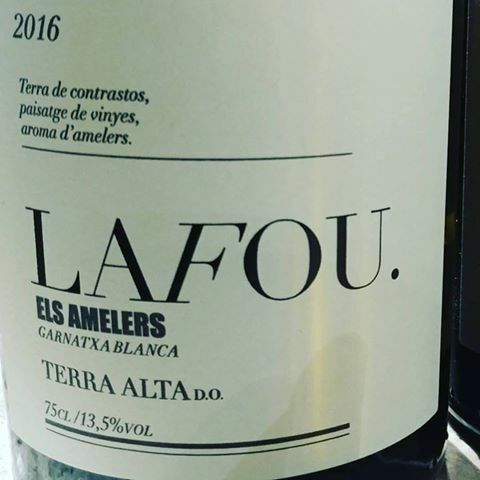 -2015 Els Amelers: 100% White Garnacha. White Garnacha (Garnacha Blanca) was born in Terra Alta as a mutation of Garnacha. 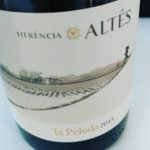 Intense chalky minerality that is not typically common among other White Garnacha wines I have tasted, with lots of peachy flavors on the weighty body… it has a lovely saline finish. 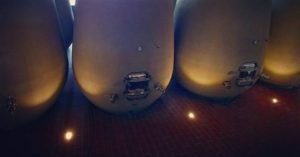 -2016 Els Amelers: 100% White Garnacha. I found this vintage to be completely different than the ’15, with dried herbs, grilled asparagus, citrus pith… more linear and energetic on the body. -2014 El Sender: 60% Garnacha, 30% Syrah and 10% Morenillo. 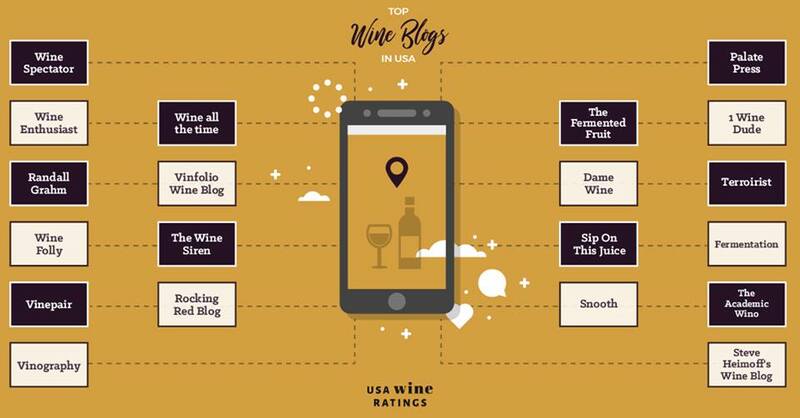 A lovely perfume of dried flowers with sweet mulberry jam flavors that are balanced by a marked acidity which gives this a lift on the sustained length. 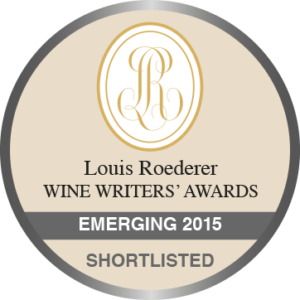 -2015 El Sender: Not sure of the blend but guessing it is similar to the 2014. 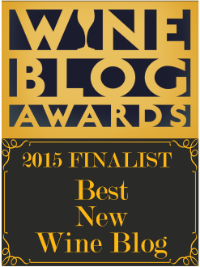 This vintage is earthier and brooding with dark fruit and savory notes. -2013 De Batea: 85% Garnacha and 15% Cariñena. Only 3,500 bottles made. A complex wine that needs more time in bottle, with the punch of primary fruit – black cherry evident although it was still incredibly enjoyable, with olive, fresh coffee grounds and a wafting hint of wood smoke that I could have smelled all day. It is still primal in some ways but it delivers lots of layers and so I would be excited to revisit it in a couple more years. -2014 De Batea: Again, not sure of the blend, but guessing it is similar to the 2013 as well as quantity of bottles produced. The 2014 was significantly tighter with a fierce focus of acidity and tannin with hints of gingerbread spice, singed rosemary and blackcurrant… this wine needs a lot more time but the very long finish and fine quality of the tannins suggest that one will be rewarded for their patience. 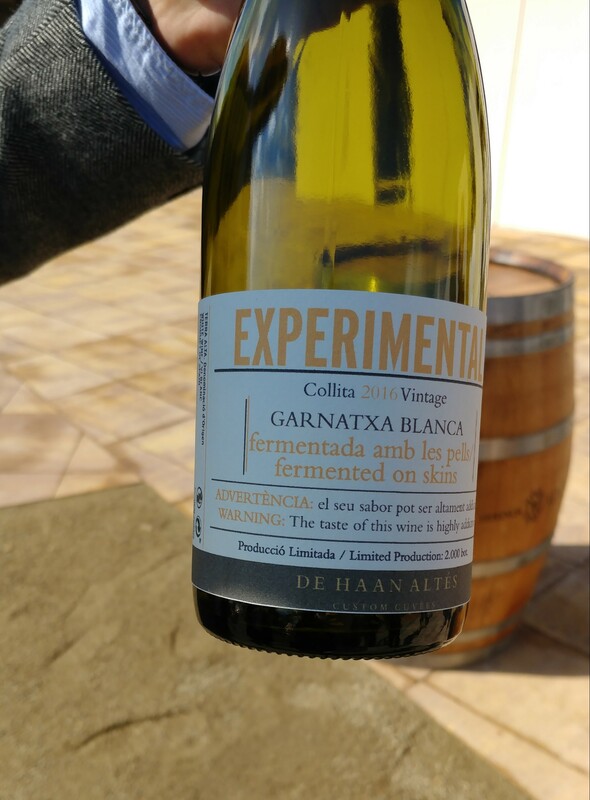 -2016 Experimental Garnatxa Blanca: 100% White Garnacha. A skin contact, oxidative white wine with the aroma of blanched almonds and butterscotch and a lush body that had grip and nerve. Mysterious yet approachable… an experiment as stated by the name but I hope they decide to keep it and ship it to the US! –2015 Benufet: 90% White Garnacha and 10% Viognier. Benufet is one of the vineyards that belong to Núria’s parents. 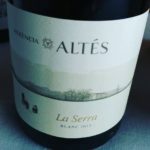 Right from the first taste I got this saline quality with a flinty minerality… there is something really special about the high quality White Garnacha wines in Terra Alta that have such elegance and backbone of a salty, mineral edge that I have not experienced with this variety in other places. 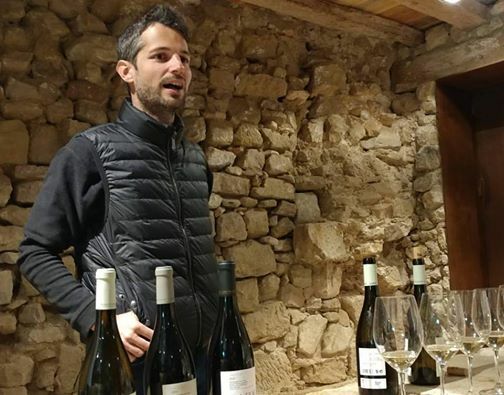 Terra Alta is the home of White Garnacha, aka Garnacha Blanca, and the clones (aka biotypes) that are grown in other areas are different, they must of mutated with their different environment, which would explain why the wines in Terra Alta are so distinctive. -2015 La Serra Blanc: 100% White Garnacha. Smoky minerality with green figs and a saline finish. Again, that intense saline mineral note as found in the other premium White Garnacha wines is here, but still, this wine brought those exhilarating aromas to the next level with white lilies and fennel fronds. Fermented in 1,500-liter oak foudres and then aged for a further ten months… the oak is in the background and would not be noticeable if it wasn’t pointed out, nevertheless, it gives a lovely structure to this wine. 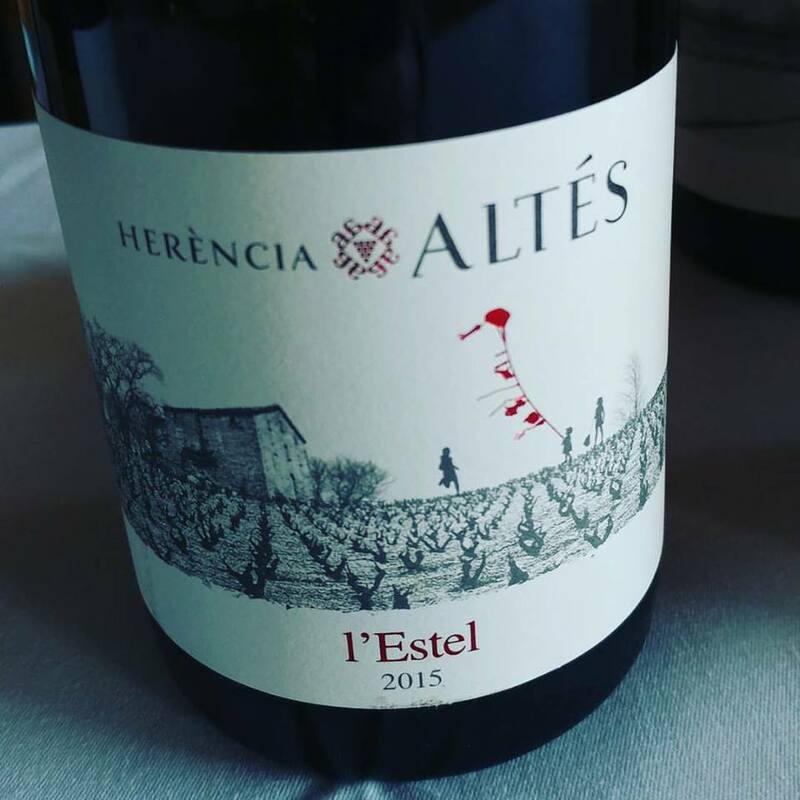 –2015 L’Estel: 60% Garnacha, 20% Syrah and 20% Samsó (Cariñena). Lush with sweet black fruit and a slight impression of cumin and blackcurrant leaf, finishing with sweet spice. 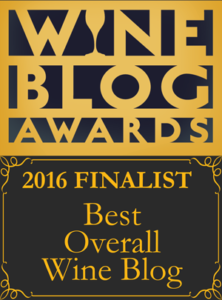 –2015 La Peluda: 100% Garnacha Peluda. Wild brambly fruit with mouth watering acidity… a Garnacha of a different animal… jumps out of the glass with an aromatically sassy character. 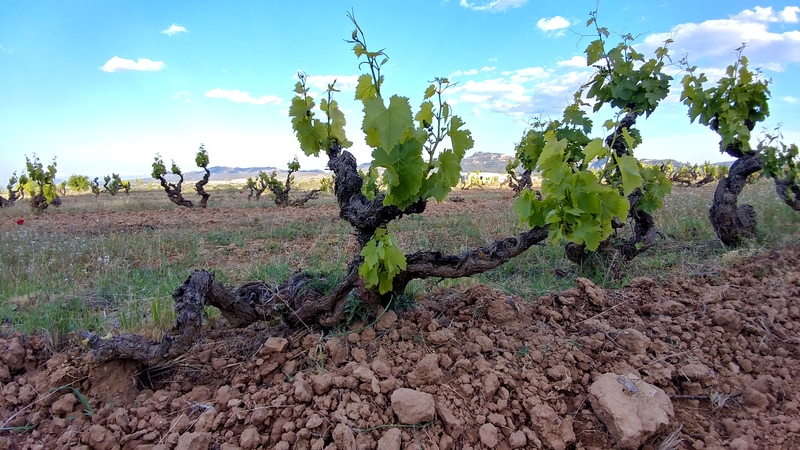 –2015 La Serra Negre: 80% Samsó (Cariñena) and 20% Garnacha. Herència Altés did not make a 2014 of this wine because they were not happy with the Samsó (Cariñena). For those who think Samsó (Cariñena) shouldn’t dominate a blend in a wine intended to be high quality, they should try this La Serra Negre. Well-judged oak on this wine with ripe, pristine, red and black fruit that gave underbrush undertones with a touch a truffle and a nice amount of grip on the tannins that allowed me to really chew on all its multi-layered deliciousness. 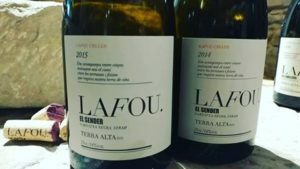 –2015 Lo Grau de L’Inquisidor: 90% Syrah and 10% Garnacha. Only 2075 bottles made. 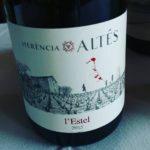 Before tasting this wine, I would have questioned why anyone would make a fine wine in Spain made largely from Syrah when there are so many other great local varieties they can focus on… well, this wine WOWed all the wine professionals tasting that day. A mixture of freshly cracked black pepper and lilacs, with opulent, fragrant black fruit, suave tannins and an overall polished quality with a sense that there is a ferocious animal trying to get out. 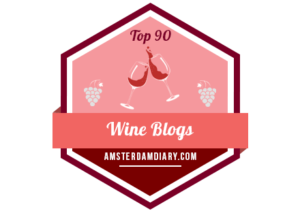 This entry was posted in Uncategorized and tagged #AVCPressTrip, Cariñena, Catalonia, Garnacha, Garnacha Blanca, Garnacha Tinta, Grenache, Herència Altés, Lafou Celler, Morenillo, Oxidative White Wine, Passion, Samsó, Skin Contact White Wine, Spain, Spanish Red Wine, Spanish White Wine, Spanish Wine, Syrah, Terra Alta, Terra Alta Wine, Viognier, White Garnacha, Wine, Wine Tasting. Bookmark the permalink.